There’s no sugar coating that could ever work in this very unfortunate situation. Hit and run will leave you feeling frustrated and confused if you are the victim, and afraid if you are the driver. But if you ever come across a hit and run, don’t panic! Getting into an accident is not a crime, but leaving the accident is. Whenever you are involved in an automobile accident, you should pull over and exchange information with the other driver. But many people flee accidents because they either don’t have a license or they’re not properly insured. Hit and run can mean a car hits you and speeds off or a driver hits your unattended parked car and leaves no contact information. Either way, there are ways to handle this incident calmly to give you a smoother experience. Here are some tips to help you deal with a hit and run. The more information you have, the more chances that the police will catch the driver who hit you. It will also help your car insurance company make decisions about your claim. Look for the license plate number as well as the model and the make of the car. If possible, ask around for witnesses and get their names and contact information. And before you leave the scene, write down the time and location of the accident. Take pictures of the scene and your car. It’s best to call the police as soon as possible even though someone hits you and drives off. You may feel compelled to chase him in your car, but calling the police and completing an accident report instead will make the process easier. 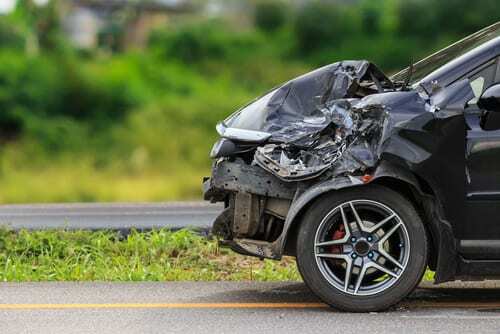 If you can identify the driver who hit you, you can get the car insurance information from your insurance company or the policy and file a claim with their car insurance company. If the driver doesn’t carry adequate protection, you can try to get your money through an attorney.